You can now pay for big transactions with Apple Pay at over 50% of contactless payment terminals in the UK. That means that when booping your Apple Watch or iPhone to the reader to pay, most tills won't limit you to £30 as with contactless payment cards that don't require a PIN. This is pretty big news for Apple Pay - it requires your PIN when you first put the Apple Watch on and your fingerprint can also be used to authenticate your identity on the iPhone. So now we're seeing a real split between contactless cards (which are handy for transport, lunches and coffees but not much else) and these new mobile payment systems, which wish to usurp them. In the US, the contactless payment limit is set at $25 depending on the bank but, again, limitless Apple Pay transactions are an option. Jennifer Bailey, Apple's head of payments, told The Telegraph that hundreds of thousands of card readers will get the upgrade including Sainsbury's, Waitrose, Nando's and Pizza Express. Retailers like Boots have accepted Apple Pay payments of any amount for a while. She also said that Apple Pay transactions in the UK have grown 300% since last year and that 23 banks are now signed up. 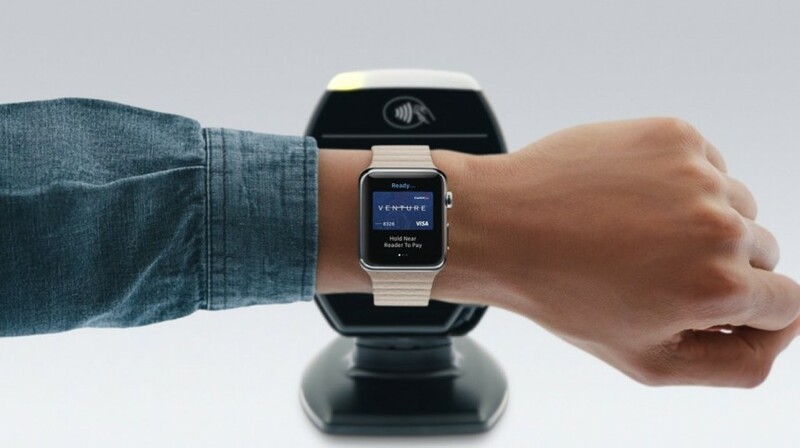 Basically if you like the idea of paying with your Watch, it just got a lot more useful.